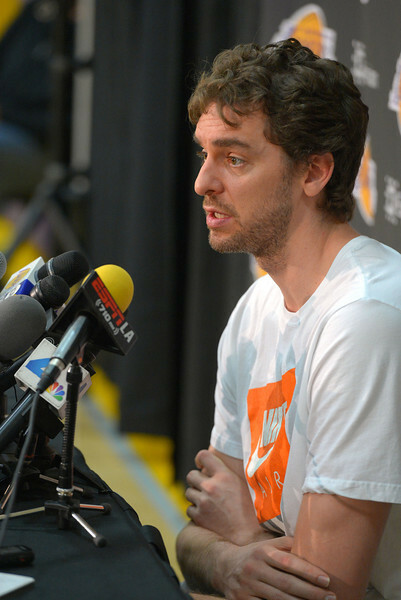 The peace and harmony Pau Gasol envisions usually surrounds teamwork and his polite personality. But this time, the Lakers forward talked about those ideals surrounding an issue far more complex and serious than his philosophical differences with Mike D’Antoni or the unsettling trade rumors. Gasol visited Israel on Sunday where led a basketball workshop for both Jewish and Arab children in hopes that it would foster better relationships amid the war-torn region. Pau Gasol’s tone sounded serious. So did his facial expressions. So did his words. The Lakers forward spoke up about something in the camera above far more consequential than his frustrations under Mike D’Antoni or his uncertain future donning the purple and gold. 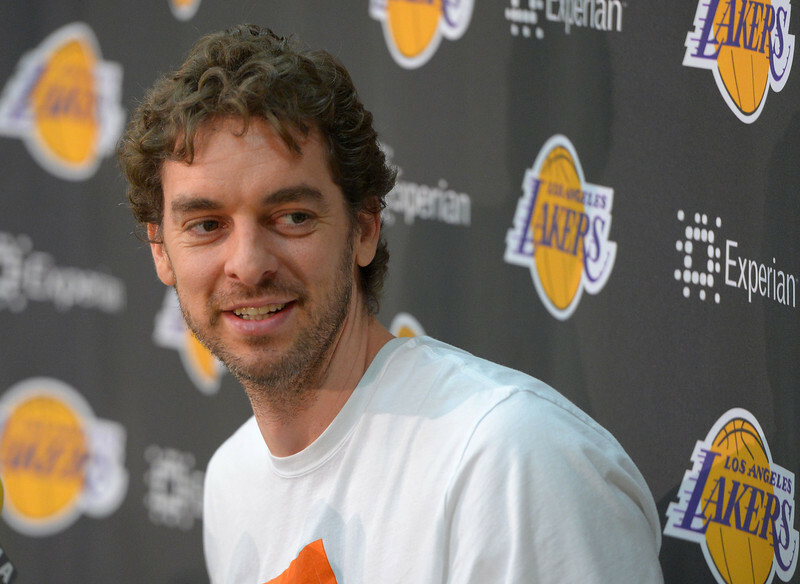 Seemingly everything this past season ailed Pau Gasol. His numerous injuries, including an upper respiratory infection, a hurt groin and vertigo, sidelined him for a combined 22 games. His preference to play in the post at a methodical rate clashed with Mike D’Antoni’s faster tempo system that depends heavily on outside shooters. Although he averaged 17.4 points on 48 percent shooting, Gasol’s defense often appeared shaky. The never ending uncertainty that the Lakers would trade Gasol did not help, either. Yet, nearly a month after the Lakers ended their worst season in L.A. franchise history, Gasol wrote a blog entry on his personal Web site that suggests he has emerged in much higher spirits. As much as he wanted to remain with the Lakers, Pau Gasol experienced frustrations that went beyond trade speculation and persistent losing. Gasol also experienced philosophical differences with Mike D’Antoni, whose resignation last week ended a two-year run in which Gasol disliked his system that made him into more of a stretch forward instead of a post player. Yet, Gasol downplayed whether that automatically ensures he will re-sign with the Lakers once he becomes an unrestricted free agent on July 1. The uncertainty hovers over Pau Gasol like a heavy cloud ready to unleash the darkest and most violent thunderstorm. 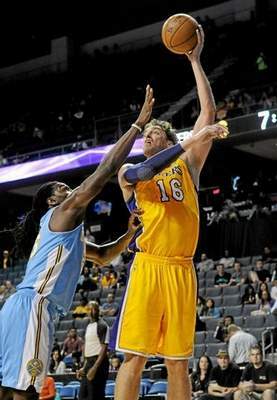 But then the skies brighten and Gasol discovers he is still on the Lakers once again. This year, that same issue lingers over whether Gasol will stay with the Lakers albeit for different reasons. Instead of the Lakers possibly using him as a trade chip as they have done ever since the nixed Chris Paul deal three years ago, Gasol might leave on his own accord when he becomes an unrestricted free agent in July. Both in his exit interview last week and in a subsequent blog post on Wednesday, Gasol offered various signs he will leave the Lakers. After the Lakers’ 27-55 record marked their worst season in L.A. franchise history, Gasol said he would like to be for a championship caliber team. After having philosophical differences with coach Mike D’Antoni over his fast-paced system, Gasol conceded his standing or firing could play at least one of the factors in his decision. Gasol reiterated that Kobe Bryant could sway his opinion to stay with the Lakers, but to what degree appears unanswered. That’s why Time Warner Cable host Chris McGee, analyst Dave Miller and I debated the topic here on Wednesday night. 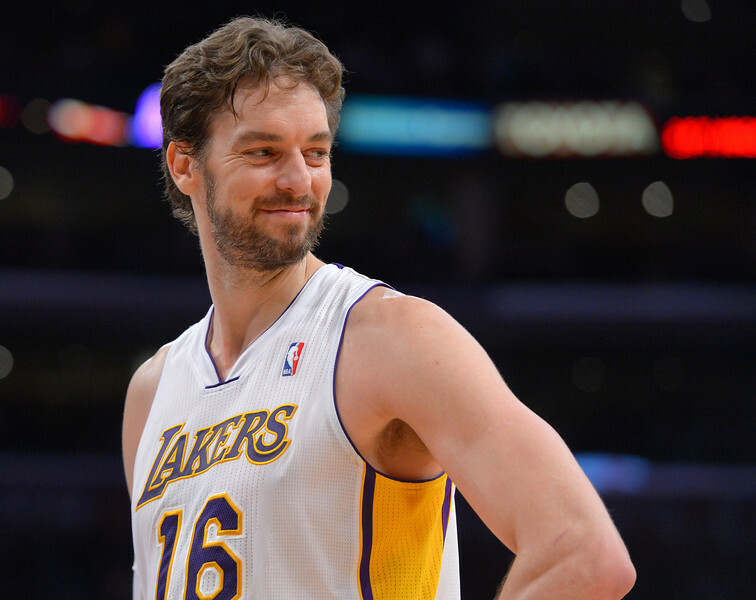 Did Gasol already play his last game with the Lakers? Judging by the tea leaves, I would argue yes. Two prevailing themes emerged throughout my recent half hour phone interview with NBA TV analyst Rick Fox. The Lakers have too many question marks heading into this offseason, including who they will draft, who they can acquire via free agency, which of the team’s 12 free agents will stay next season and how Kobe Bryant will recover next season. The Lakers also will have to decide what they will do with coach Mike D’Antoni, who has yet to meet with the front office since last week’s exit meetings. With each day that passes, Fox believes that means D’Antoni’s job appears more and more secure despite overseeing the Lakers (27-55) worst mark in L.A. franchise history. Below is part one of my transcript with Fox, the former three-time NBA champion with the Lakers who touched on nearly everything pertaining to the purple and gold. 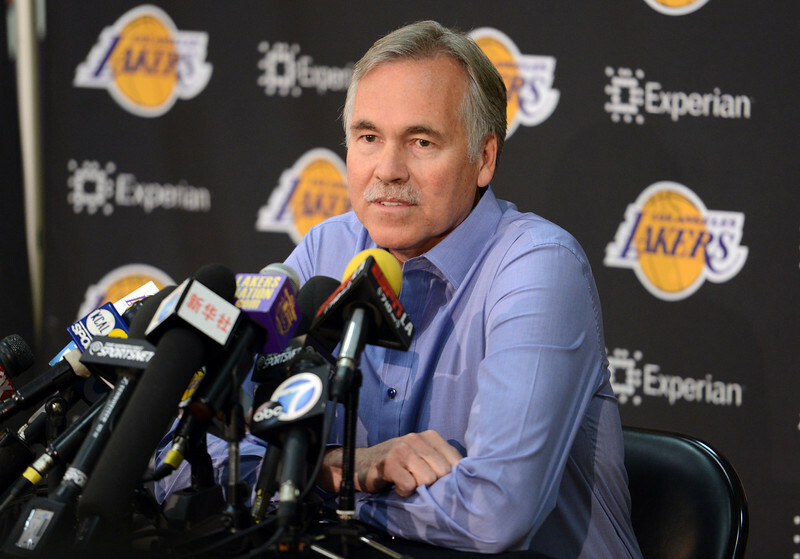 Do you think Mike D’Antoni will be the Lakers’ head coach next season? Fox: (laughs). If they were to do something, they would have done it already. He has the confidence of the owners and Mitch Kupchak. It was a difficult year. That’s clearly evident to all. But that doesn’t necessarily mean they see Mike as fully responsible for the breakdown physically of the team and the roster that lost Dwight Howard. With their plan for the future, they seem to be planning to rebuild this offseason. It’s very clear to me, and they expressed that, that they want to spend their money down the line. In spending money down the line, such free agents I’m sure will have questions about who their coach is going to be and even want a voice in that. I don’t know how you turn around and hire a new coach right now when a year from now you’re going to be addressing the same situation. How do you evaluate how Mike did this year? Fox: Some would say he did an admirable job amid the chaos. It’s just hard for Lakers fans to see or endorse a season that happened last year. It’s so uncharacteristic of the organization to be faced with such challenges. But if you really look at the history, it’s once or twice before and the turnaround has been quick. The challenges to do that may be different than they were then with the salary cap and the way the league operates now. But only time will tell. From a system approach, Mike’s system has an entertaining quality to it, but it also has its critics. If he had won a championship at this point, maybe it wouldn’t be so maligned. In that regard, it puts him in the firing line. It’s a lot easier to take shots at him. But at the end of the day, I don’t know if any coach put in the same position would have been able to do better. They likely would have done the same thing, if not worse. His name is not Kobe Bryant. His name is Pau Gasol, who will become a free agent in July and could leave the Lakers on his own after pleading endlessly for them to keep him the past three years amid never-ending trade rumors. Lakers’ Pao Gasol smiles a a young fan in the front row as he waits for a freethrow against the Denver Nuggets at the Staple Center in Los Angeles, CA on Sunday, January 5, 2014. 1st half. 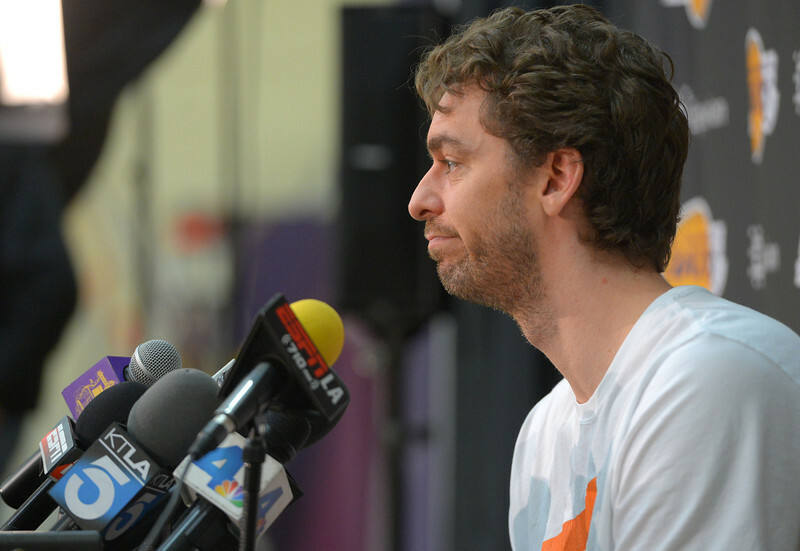 Pau Gasol stepped out of the Lakers’ practice facility with a stoic demeanor. He will sit out when the Lakers (25-54) host the Memphis Grizzlies (47-32) at Staples Center, marking the 10th game in the past 11 contests he will miss because of vertigo. Gasol will travel with the Lakers for the last two games in Utah (Monday) and San Antonio (Wednesday), but it’s very well possible he won’t play again this season. Gasol also is aware he may never wear a Lakers uniform again considering he plans to test the free agency waters beginning in July. Gasol first experienced symptoms three weeks ago in the Lakers’ win over Orlando before missing the second half and being taken to a hospital after having three bags of intravenous fluids pumped into him. Gasol nearly returned a week later in the Lakers’ loss to Portland, where he looked noticeably sluggish, posting nine points on 4 of 9 shooting, four rebounds and seven assists. Gasol reported his health declining the next day in Sacramento. Gasol had completed his daily ritual of who rotating his head and eyes in a spinning motion to simulate dizziness before his symptoms resurfaced. Since then, Gasol has sat out for the past five games, completed an individual workout on Thursday, taken antibiotics and continued his spinning exercises. The Lakers also field other injuries. Both Steve Nash (nerve irritation in back) and Chris Kaman (strained right calf) will not play against Memphis. Lakers coach Mike D’Antoni reported Jordan Hill feeling a migraine, though he is expected to play. Pau Gasol will sit out when the Lakers (25-53) host the Golden State Warriors (48-30) on Friday at Staples Center because of vertigo, an ailment that has sidelined him for eight of the past nine games. Gasol completed an individual workout on Thursday, but he has yet to receive medical clearance. The Lakers play their final home game on Sunday against Memphis before a string of road games in Utah (Monday) and San Antonio (Wednesday). They also currently only have one more practice scheduled on Saturday. So it’s fair to say Gasol won’t play again this season, no? D’Antoni then referred to Lakers trainer Gary Vitti and Gasol. D’Antoni also listed Steve Nash as likely out after feeling his hamstring flare up in the Lakers’ loss Tuesday to Houston. Chris Kaman (strained right calf) also remains out, along with season-ending injuries to Kobe Bryant (fractured left knee), Kent Bazemore (torn tendon in right foot) and Xavier Henry (torn ligament in left wrist, cartilage abnormality in right knee). The Lakers haven’t lost a season series to Golden State since the 1994-95 season, a realistic prospect considering they lost both games in Oakland by an average of 25 points. Yet, the Lakers beat Golden State in Novemeber amid a much healthier roster. With nothing else to play for beyond a flurry of role players showcasing their worth once they become free agents this offseason, the Lakers are touting themselves as potential spoilers. Golden State holds only a one-game lead over Phoenix (47-31) for the Western Conference’s sixth playoff spot.